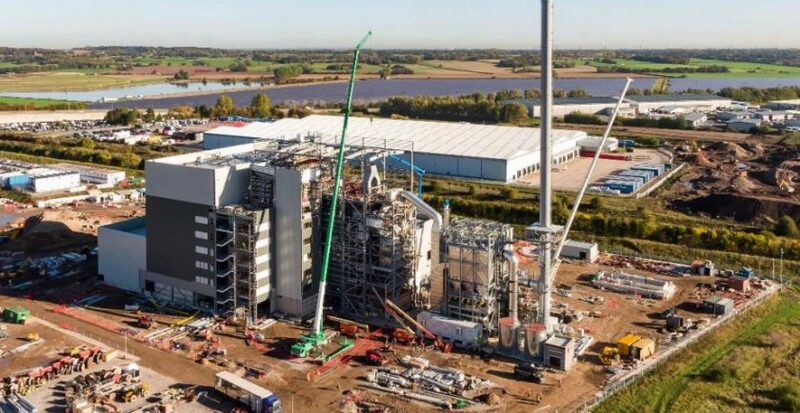 An £800M incinerator being constructed in Flintshire is scheduled to open on time after more than a million hours of work, a new report has revealed. The first waste delivery at the Parc Adfer energy facility is expected to be made on May 6, 2019 following positive progress on the site. Contractors CNIM began building on Deeside Industrial Park in 2016 after being appointed by US based company Wheelabrator, which will run the scheme. The project is part of a partnership between five local authorities, led by Flintshire Council, to find a more sustainable solution for managing waste in North Wales. Members of the North Wales Residual Waste Treatment Project will receive an update on the development a meeting next week. In a report, contract manager Steffan Owen said close to 1.07 million hours of work had been carried out with tests now underway to prepare the facility for opening. He said: “Progress on site has remained positive. “The civil work programme is currently focusing on the following areas; electrical rooms, North Wales Residual Waste Treatment Project administration building, external drains and site works. “The entrance to the site, the road network on site and the turning area for waste deliveries are currently in process. “On Friday 15th March 2019, Wheelabrator Technologies Inc were given formal notification of commencement of “readiness tests” by their engineering, procurement and construction contractors, CNIM. He added that the exact date of the first waste delivery would be confirmed in early April, but was expected to be close to the one outlined. Once completed, the waste-to-energy facility will generate 19MW of electricity to power homes and businesses. It will be able to process up to 200,000 tonnes of post-recycled waste a year to create renewable energy. Within the report, problems have been highlighted with the current parking situation on the construction site with around 500 staff currently working on the project. Mr Owen said: “This has meant that there have been some issues with parking, both in terms of a shortage of space at times, and also ground conditions that are not always ideal. The report also shows that 48 near misses and 13 injuries have been recorded at the site by health and safety officials. In February, incidents included an unspecified object being dropped and damage being caused to cladding because of a fault with a telehandler machine. However, the British Safety Council has inspected the site and awarded the project a five star rating. Councillors attending the meeting in St Asaph on Tuesday will also receive an update on Welsh Government funding and air quality monitoring relating to the project. But those discussions are set to be held behind closed doors with members of the press and public excluded because of ‘commercial sensitivity’.